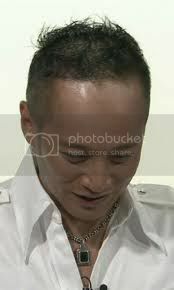 SMAP’s Masahiro Nakai promised to try all he can to stop going bald like his dad, it was revealed at an event in Tokyo on May 24, reports Walker Plus and TV Asahi. Nakai will join Tsuyoshi Kusanagi in promoting men’s hair care products スカルプD (ScalpD) in an upcoming TV commercial. “When I heard about this offer, I thought they were joking. When I told my dad, he said, ‘will it bring back my hair? Let me have some ScalpD’. But my dad’s completely bald so I don’t think the shampoo will get bubbly. I wonder if I can beat my dad’s genes…no, I will beat those genes,” Nakai said. It has been reported the commercial features the two dressed in a mixture of bathrobes and suits. Although it might sound stylish, their facial expressions bring a more comical quality to the ad. “The commercial stars both of us, but without the other three SMAP guys…,” Nakai said. “I know, right…neither of us have that ‘it’ factor (laughs). But I’ve always thought Nakai-san is the best celebrity on camera and that’s why I got him involved with this,” Kusanagi said. Lastly, Kusanagi and Nakai did not forget to promote their product. “Like women take care of their skin, I hope men can take care of their hair. We want to make sure we look our best for our fans as long as possible,” Kusanagi said. “I hope I can use this for as long as I can,” Nakai said. The new ScalpD commercials with both SMAP members goes on air in Japan from May 25. Baldness is passed down on the mom's side, tho. He could probably rock the bald look anyway. Nothing can keep Nakai down! Didn't Nakai come to Singapore recently? I should have promoted Beijing 101 to him for his dad. lol Nakai, u so qt. Shut up, Tsuyoshi. You two are awesome.